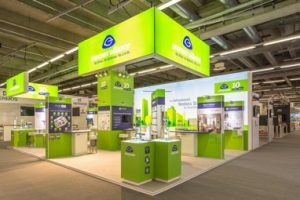 Anyone who wishes to learn about the latest developments in water and energy management in buildings will attend the ISH trade show in Frankfurt between March 11 and 15. The EnOcean Alliance will also be there, of course. Together with its partners, it will demonstrate maintenance-free wireless sensor solutions for building digitalization and smart homes based on the international EnOcean wireless standard (ISO/IEC 14543-3-10). Big data in corporate real estate management: On the IoT Solutions Panel, experts from Microsoft, T-Systems, Piepenbrock, Thing-it and IBM will report on how EnOcean-based solutions can be implemented in corporate real estate management along with the benefits that building operators derive from this, based on practical examples. Amendment to the European building directive (EPBD): All buildings within the EU are supposed to be CO2-neutral by 2050, with interim goals set for 2030 and 2040. The member states have to adopt the necessary legal and administrative regulations as early as March of next year. The EnOcean Alliance experts explain what these requirements mean in the context of building automation and how future-oriented system solutions based on the EnOcean wireless standard can be implemented. Not least, ISH visitors to the EnOcean Alliance joint booth can learn about the latest trends in the smart home as well as in lighting and window control. In all, more than 30 companies will show EnOcean-based solutions at ISH 2019. The following companies will be exhibiting at the joint booth of the EnOcean Alliance (10.3 C60). AFRISO smart home sensors provide more security, living comfort and a pleasant room climate in buildings. 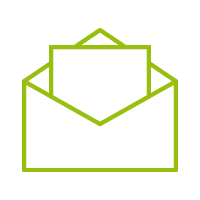 AFRISO Smart Home offers an extensive portfolio of sensors and actuators in this area. The new AIS 10 PRO indoor siren rounds out the system when it comes to preventing break-ins and provides effective all-around protection. The free AFRISOhome app is the centerpiece of the solution for mobile devices (iOS/Android) and is also available as a Web app for PCs. The solution enables customers to design their smart homes intuitively and make them user-friendly: display sensor event history data, switch actuators, create timed “if/then” logic operations (e.g. also for multiple sensors) and automatic workflows based on measured values or logic states, group sensors according to room or building, manage access rights and much more. All components are networked via the multi-protocol-capable AFRISOhome Gateway HG 01. BECKER-Antriebe, which specializes in drives and controllers for blinds, sunshades and gates, is the first supplier to incorporate the future-oriented, self-powered EnOcean technology directly into a tubular drive and thereby make it even easier to use. The wireless actuators built into the drive itself can be used to transmit absolute values and thus provide precise position values, which makes exact drive control possible. The new solution is also seamlessly integrated into the principle of interdisciplinary interoperability, and it supports both remote management and remote commissioning. Due to the bidirectional feedback of position and status, the drive can also be effortlessly integrated into the central home automation system. In addition, the Becker tubular drive provides sensitive obstacle detection, freeze prevention, smart installation management and many more functions. Combined with other EnOcean products, it thus offers, for example, ventilation and various alarm functions without an additional, superordinate control panel. BSC Computer GmbH’s core expertise is in the areas of wireless networks, products and solutions based on EnOcean wireless technology, interface development, IT security and the development of hardware and software solutions. BSC presents a solution portfolio for complete networking in smart homes, building automation, AAL, M2M, IoT and Industry 4.0. This includes individually scalable gateways based on the flexible BSC API. These gateways network self-powered wireless sensors and actuators with each other and with the Internet for central control of heating/ventilation/air conditioning, lights and other smart home applications. With the EnOcean IP gateways, BSC Computer GmbH offers products for a wide range of applications that seamlessly connect EnOcean sensors to the Internet and process data in real time. Based on powerful Intel hardware, this information is a valuable tool for the smart use of energy as well as to meet the challenges of demographic change. The Ubiwizz by Decelect ecosystem outfits entire homes and buildings – from infrastructure to quality of use – and makes it easier to integrate connected objects. Decelect is known for its expertise among leading French and foreign companies and has efficient production facilities in France, Tunisia and China, which manufacture well-engineered products with an optimum price/performance ratio. Based in Bergisch Gladbach, Germany, Deuta Controls specifies, develops and manufactures electronic devices for building automation and offers cost-optimized and investment-secure overall solutions for customers. The company’s services include innovative control technology for building automation, visualization and operation, networking/bus technology, customizations, development and production of electronic modules, e.g. with EnOcean, engineering and configuration of components and systems as well as manufacturing of devices, programming and initial commissioning. At ISH, Digital Concepts will display its EnOcean gateway (with WiFi and LTE), which combines the world of self-powered wireless technology with IP and thus integrates self-powered wireless solutions with the EnOcean wireless standard into expanded, scalable IoT systems such as IBM Watson IoT, Apple® HomeKit™ and the Open Connectivity Foundation. As the highlight at ISH 2019, Digital Concepts will demonstrate the connection between self-powered EnOcean devices with IBM Watson IoT and Apple® HomeKit™ and show how Siri® and Alexa work together to manage the Smart Home control system. Eltako Smart Home Professional, the smart system in buildings, is based on the global EnOcean wireless standard. The self-powered and thus maintenance-free radio switches and window/door contacts with energy generators are exclusive EnOcean highlights. Eltako carries a total of more than 300 innovative wireless products as well as an extensive range of switches in four design lines based on the EnOcean technology. The EnOcean wireless standard (ISO/IEC 14543-3-1X) in sub 1 GHz is an excellent choice for use in buildings, thanks to its radio range of up to 30 meters. The Eltako building wireless app makes it possible to control the building installation from a smartphone or tablet. At ISH 2019, EnOcean will demonstrate technological innovations that further drive the use of energy harvesting sensor solutions for digitalizing buildings. At the EnOcean Alliance partner booth, the world’s leading developer of self-powered wireless technology will also exhibit its proven PTM switch module, which now has an integrated NFC interface. This will enable installers to integrate self-powered switches into automation systems faster and more easily in the future. New self-powered, maintenance-free sensor modules for a wide range of building data that fit into classic switch frames based on the PTM modular system are another highlight. Self-powered sensors can thus be distributed within the building as flexibly as wireless switches. Using the Easyclick in-wall receivers and self-powered transmitters and sensors from Honeywell PEHA, status feedback regarding the executed local functions as well as sensor data can be used directly for integration into Honeywell BMS systems. Superordinate functions and visualizations as well as service and maintenance applications can be controlled, evaluated and activated from a central location. The ability to easily integrate decentralized light and blind applications and sensor data permits energy-efficient upgrading of the HVAC building management system. The combination of the Honeywell PEHA EnOcean room solution with Honeywell Centraline BMS controllers makes it easy to implement energy-efficient buildings in compliance with EN15232. LAE will demonstrate its more than 25 years of engineering and management expertise in automating, modernizing and optimizing systems and real estate in the areas of energy, industry and buildings. All five divisions – Power Generation, Electrical Engineering Planning, Building Services Engineering, Industry Modernization and Technical Management – work together to achieve an optimum whole and thus create greater synergies for the customer. Micropelt, a brand of EH4 GmbH, will present the latest generation of self-powered EnOcean wireless radiator valves to control heating units and building automation. A newly developed EnOcean protocol will allow the MVA005 valve to also locally change the setpoint temperature in the future right on the valve. With its internal temperature controller and two temperature sensors, the valve can be operated in self-regulating mode with or without an additional room temperature sensor. The wireless and control interval in heating mode can be increased either with each wireless telegram or in automatic mode via the increasing inlet temperature. The continuously measured inlet temperature, among other things, is available as additional information. In addition, remote management functions allow different valve parameters to be modified during operation. Overkiz makes IoT connectivity easy. The French company offers global IoT solutions for connecting, installing, controlling and monitoring devices of different manufacturers and technologies for home and building automation systems. The customizable and dialog-capable IoT platforms encompass smart controllers, a cloud architecture, APIs, mobile apps and an E-maintenance tool. Overkiz is an original equipment manufacturer and a subsidiary of the Somfy Group, a world leader in the area of opening and closing automation systems in residential and commercial buildings. Smart thermostat controllers make it possible to save energy costs over the long term without much effort. Smart heating plays a key role in smart home technologies, some of which are still quite new. The developer Precision Motors Deutsche Minebea GmbH (PMDM) has created a self-powered and innovative radiator valve that makes changing batteries and laying cables things of the past. The valve itself produces the electrical energy it needs for operation. The PMDM technology makes maintenance work superfluous, and migrating to the self-powered system is also very easy. At preset intervals, the smart radiator valve communicates by radio with a room control unit that monitors and regulates the temperature. A smartphone can optionally act as the control center. Thanks to the technology developed by PMDM, building automation is more sustainable than ever before, and self-powered wireless technology makes it state of the art. At ISH 2019, ViCOS will present ViSENS, the first commercially viable sensor platform equipped with EnOcean communication capability and configured via Near Field Communication (NFC). ViSENS thus facilitates complete device management without opening the product packaging and without starting up the device. Combined with the ViCOS EnOcean ConfigTool, NFC makes it easier to commission an EnOcean installation and also saves time and money. When it comes to EnOcean secure communication, ViSENS meets the highest EnOcean Alliance standards. The new NCF configuration permits the controlled setting of all relevant security information at any time and gives every ViSENS user the freedom to take charge of their own security.